LCD Keypad shield for Arduino. 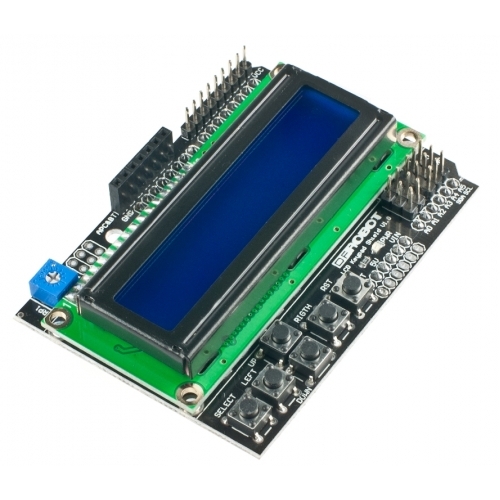 This Arduino shield includes a 16x2 HD44780 White on Blue LCD module and a 5 push button keypad for menu selection and user interface programming. Fully assembled. See the tutorial and example Arduino code here. Compatible with Arduino Uno, Mega, Duemilanove. Uses digital pins 4 - 10, and analog pin 0.